Parenting teenagers is sort of like raising a disobedient sloth while simultaneously trying to balance an egg on the tip of a pencil. You need to tread carefully while still motivating, encouraging and sometimes kicking their butts into gear. If you have not had the pleasure of parenting teenagers yet, I don’t mean to scare you with the realities of this age group. However, you should be prepared for the chaos that those teen years may bring. Your toddler is a walk in the park compared to the stress of raising teens! One of the things I hear most often from my friends who are raising teenagers is that their teens don’t want to spend any time with family. While my own teenagers have their challenges, I have been very lucky that they enjoy family time with my husband and I. I really and truly believe that spending quality time with family is the best way to ensure that your teenagers stay on the straight and narrow. 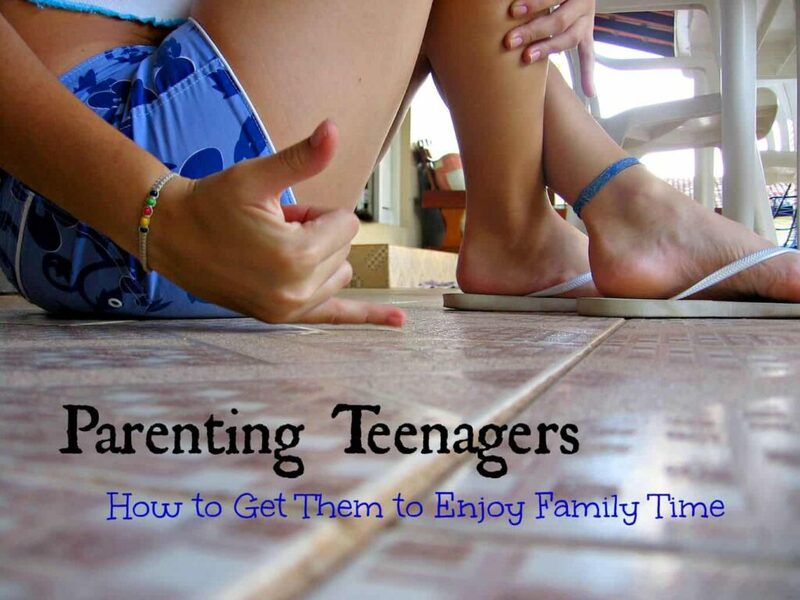 Raising teenagers who enjoy family time isn’t easy and you need to start young but I thought I would share a few tips from our own experiences. 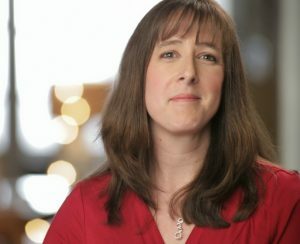 Every teen is different, of course, but hopefully you will find these suggestions helpful. Start when they are young: Spending time together as a family should be a goal you set from the moment that you have children. Our lives are crazy busy…I totally get that! However, carving out a couple hours a week to spend with your kids is an important step in keeping your family connected. Start a Friday game night tradition or a Saturday morning cartoon marathon tradition. Make it something you ALL do together on a regular basis. Eliminate electronics from family time: You are not really connecting with your family if you are all on electronic devices. That means that everyone needs to put away their phones and unplug their headphones for a couple of hours. Talk to each other about your day or about current events or about something silly that happened at school that day. Just make sure you are bonding with each other and not someone on the other end of a screen. Family time is for family, not friends: I have never understood the trend of allowing children to bring friends on their family vacations. My children have lots of time with friends, both at school and during after school activities. However, family outings are strictly family only. If your teenager invites a friend along, it is doubtful that you are boding much with your child. Keep family time as a moment when it is family members only. Make family time stress free time: Family time is not the time to harp on your teenagers about their grades, their hair, their poor choice in friends, or bad grades at school. Parenting teenagers isn’t easy and there is always something we COULD be nagging them about. But, leave those issues behind when you decide to devote a couple hours to bonding with your kids. Ask for their input on activities: My husband and I don’t always enjoy the same things my kids do but we try to be flexible when planning family time with them. We love hiking and camping whereas they prefer the beach. This year, we did both. 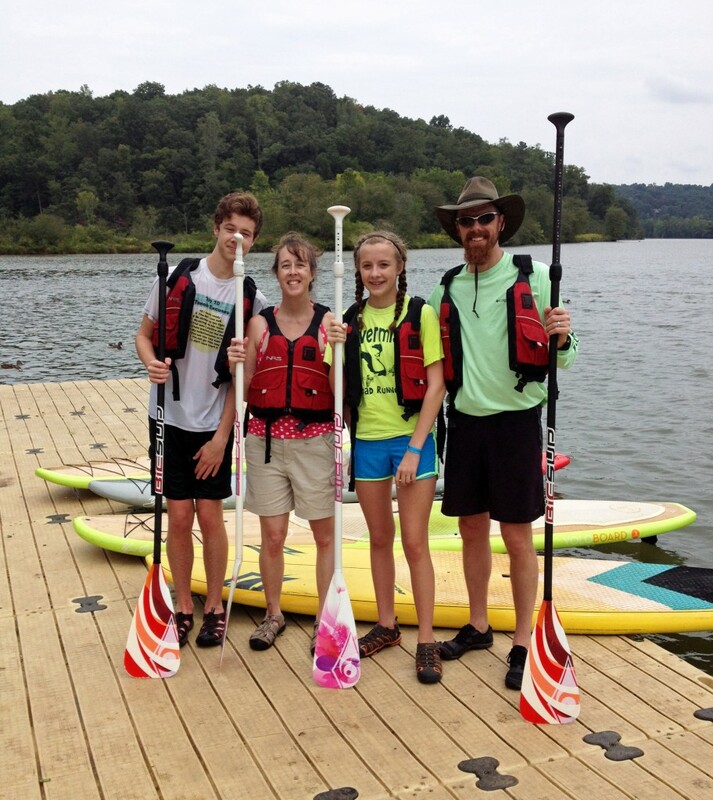 They were hesitant about our recent paddleboarding adventure but had an amazing time. We don’t always want to see the same movies that they do but we sit through them anyhow. Ask your teens how THEY want to spend time relaxing next weekend and then do it together! Parenting teenagers is a challenge every single day. They continuously want to hide in their rooms, plug into their electronics. whisper with friends and otherwise ignore mom and dad. As parents, we need to work hard every single day to make sure we keep the lines of communication open with our teenagers. Getting them to enjoy spending time together is a challenge but one that you will be glad you worked hard to overcome in the long run. Check out WebMD for a great article on raising teenagers! Do you have any other tips for parenting teenagers? 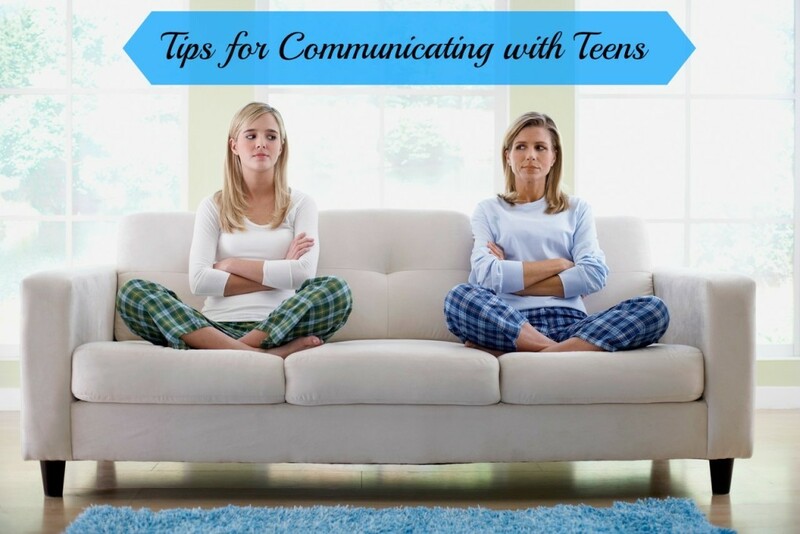 If you enjoyed this post, you may want to check out my discussion on how to keep the lines of communication open with your teens. You had me at: "Parenting teenagers is sort of like raising a disobedient sloth while simultaneously trying to balance an egg on the tip of a pencil." My oldest is only 9, but I like to be prepared! #4 is my favorite. Glad you enjoyed the post! Teenagers are challenging, that's for sure!